If you’re planning a beach holiday anytime soon, this short video should help you pack light and look fab in the sun, while protecting your face. Even if you’re not going away, this is what I slap on my face when I’m rushing to walk my dog Jack but don’t want to frighten the locals! (I’ve listed the products I use below). 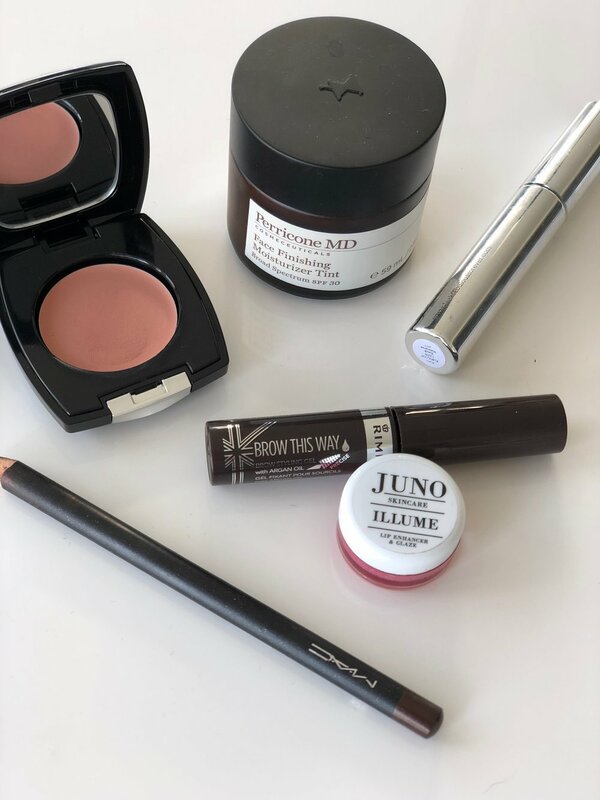 The products I used in the video are as follows: Brow This Way, by Rimmel, available at Boots & other pharmacies, my fave brown crayon eyeliner is from Mac, the tinted moisturizer is from Dr. Perricone, on-line, the lip balm is from Juno. , a local and organic brand here in Brighton, and the Radiant Blush is from Look Fabulous Forever, (they do makeup especially for more mature skin and you can see my makeover with them here). My favourite products for a very quick, light makeup. There is also a fabulous tinted moisturiser form Sarah Chapman, SPF30, that I’ve been using for travelling as I have a sample size from them. I love all their skin care products, and you can see more on my quick, daily skin care routine here.